Reel Sender | Add it. Send it. Track it. Send your reel from Reel Sender. It's easy! Add Your Reel. Send it. Track it. Give it a title, select a category - and you're done. 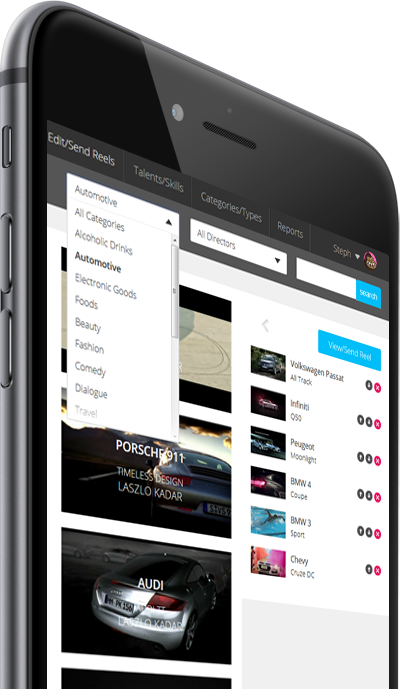 Use Reel Sender's sort and search tools to create custom reels in seconds. 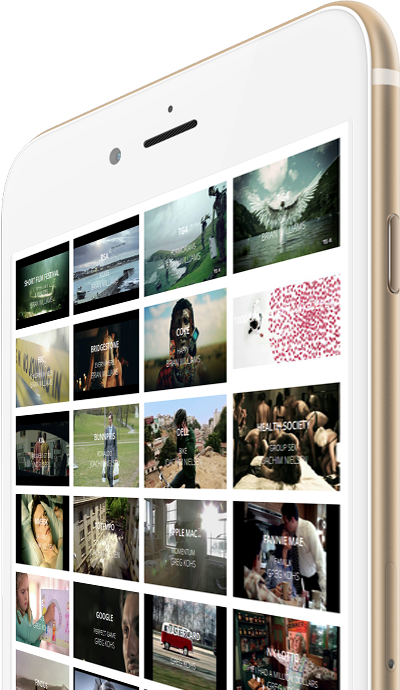 Select your clips by talent, type and category to craft the perfect presentation reel every time. Personalise reels with your own branding and message. Airport, taxi, cafe, office... 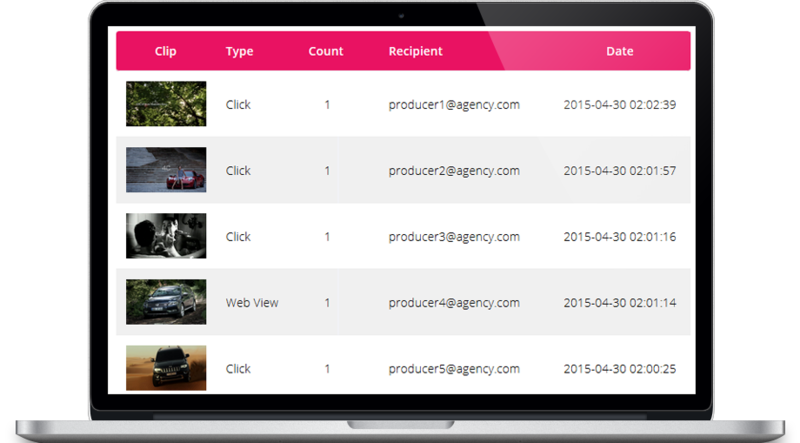 Send your reels, check activity and respond to clients on the move. It's fast, it's easy and it works. ReelSender's live tracking tools make follow-ups a breeze. See who viewed your reels and which clips they watched. Reel forwarding lets your recipients send on your work in an instant. Reel Sender grows with you. Add more clips and upgrade as you go. Start sending your work today. Post Production and Music Houses. More control, 5 hours dev time. Custom built for your team. ** Subject to our discretion on fair use activity. We reserve the right to stop over-bombardment of recipient inboxes by unprofessional idiots.